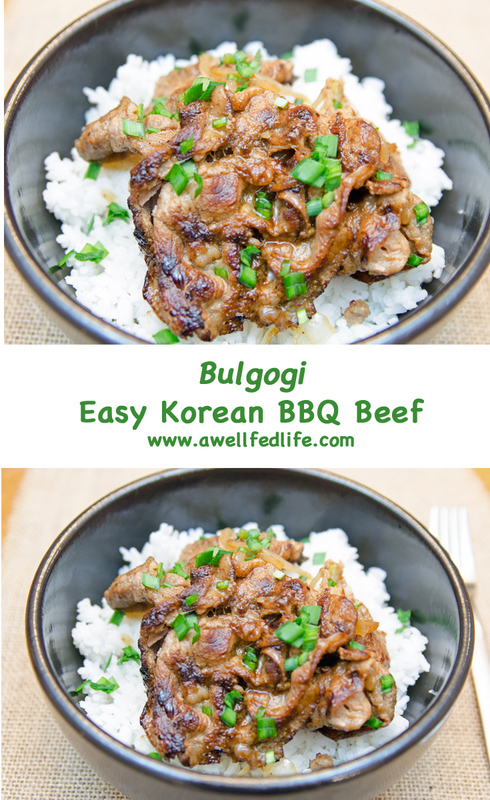 Easy to make, slightly sweet, perfectly salty, with a touch of heat, hands down, bulgogi is my favorite Korean dish. The first time I had a bulgogi at Korean BBQ joint it was love at first bite. Since then I have been attempting to recreate the dish at home and I think I have finally nailed the marinade. 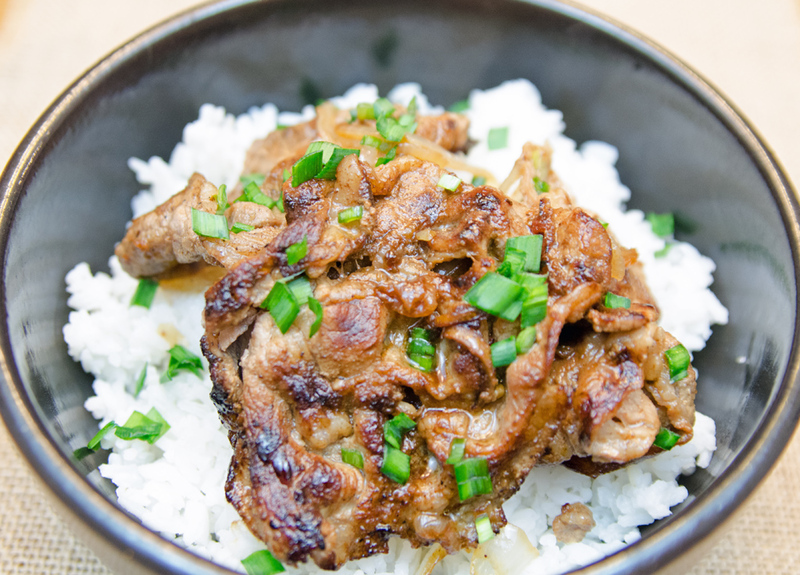 This dish is all about the marinade and the key is Korean pear. The pear has a magical property that seems to transform the meat. 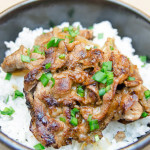 It super tender and when cooking the sugar caramelizes and forms a delicious char. The dish is a cinch to make. I typically prepare the marinade the night before I make the dish. Then, before heading to work I add the meat to the marinade and let it do its thing. 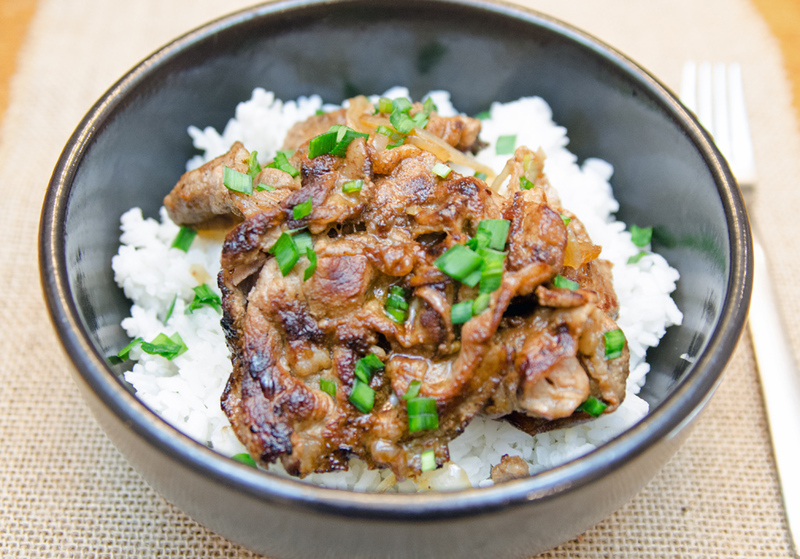 When I get home from work I make some rice and then cook the bulgogi while the rice is cook. I should add bulgogi makes great lunch leftovers. Or for a real treat, top with a fried egg and eat the leftovers for breakfast. Regardless of when you eat bulgogi your going to love it! 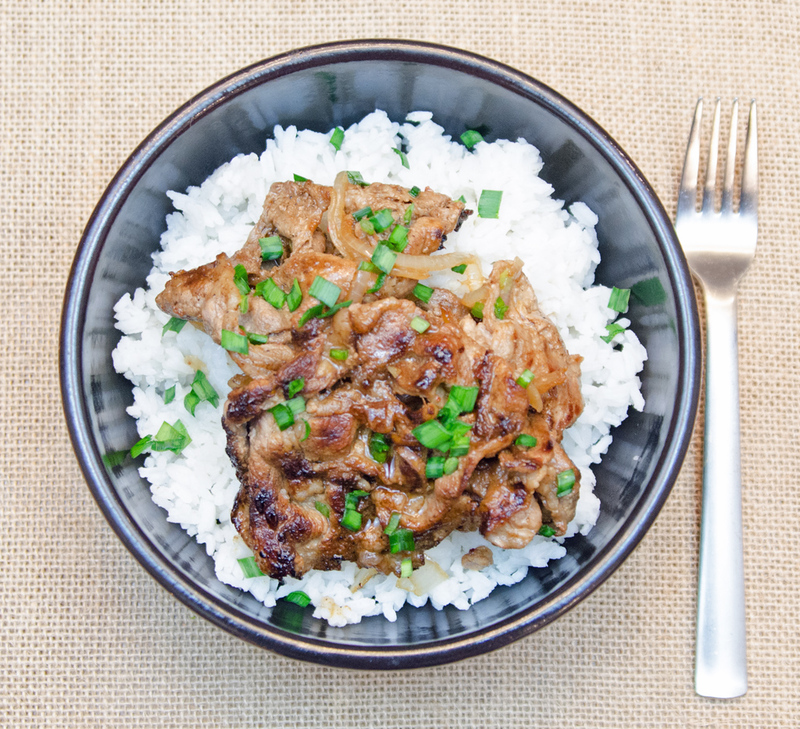 In a medium sized bowl, whisk marinade ingredients together until combined. Add meat and mix until meat is coated with marinade. Cover with a lid and refrigerate for a minimum of 3 hours. Remove beef from bowl and drain. Add onions to beef. Heat a pan on high heat. Add beef slices individually with a few onions. Cook beef for 1-2 minutes on each side. Once cooked reserve beef. Top with chives and serve with cooked rice. How do you think the marinade would work on tempeh? Sounds really good so I want to try it. Absolutely. reduce the reserved marinade and drill on like a sauce. Yum. Will make next week. It’s pretty easy to make. The right type of meat is key.